Magic and mystery inspired this month’s marvelous, Halloween-themed artwork. A laughing witch whizzed through the air on a broomstick over a sea of pumpkins in 9-year-old Gwendolyn’s masterpiece. 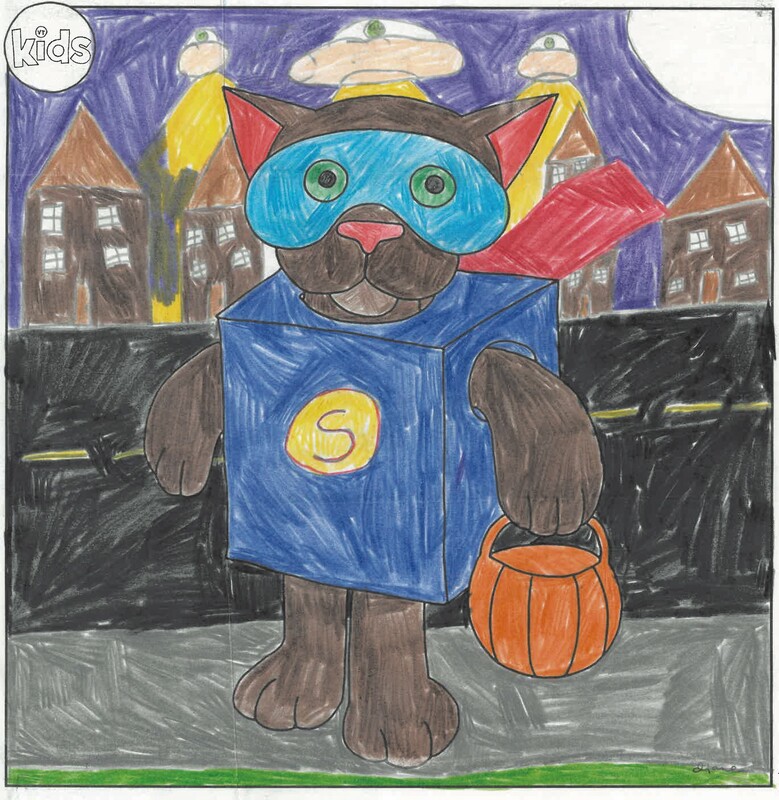 Colin, 4, jazzed up his kitty with a sparkly gold and green robot costume. 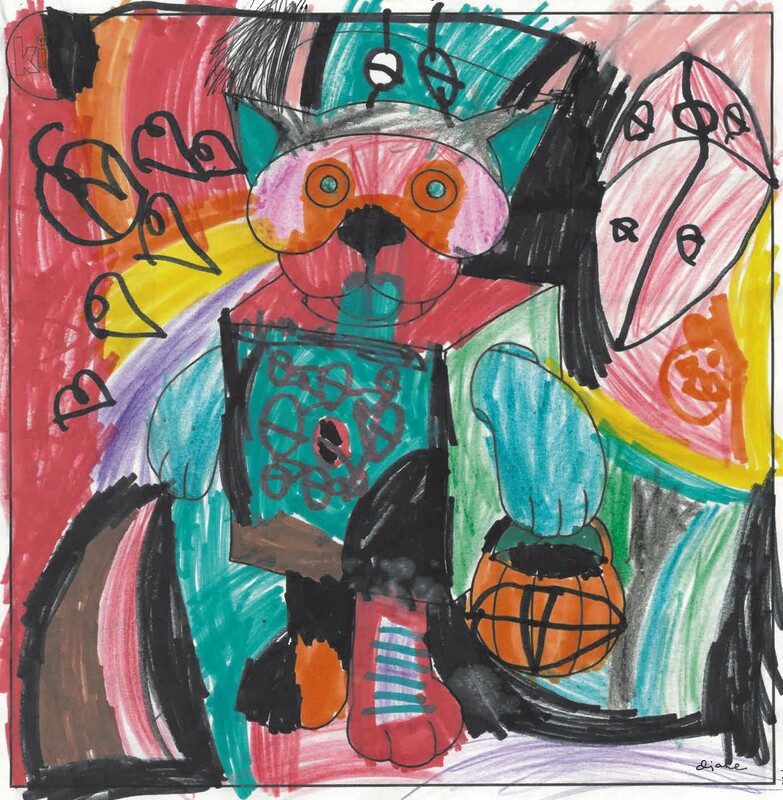 Six-year-old Alexander surrounded his feline with an airborne coterie of ghosts and bats, and stuffed his jack-o-lantern bucket with tasty treats. Great job, junior artists. Mail us your masterpieces again this month! 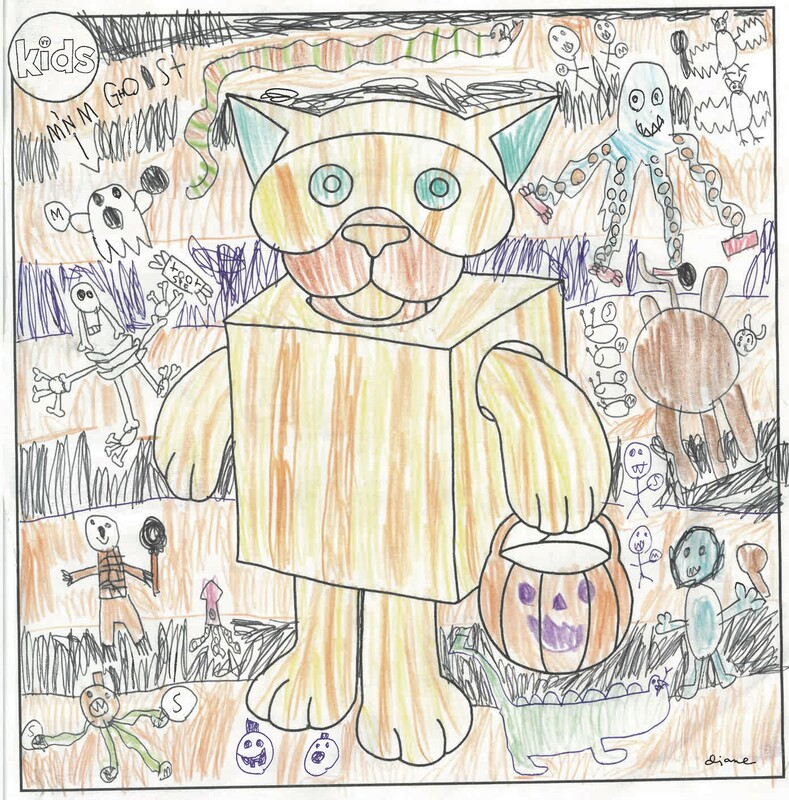 Find our latest coloring contest in the "Just for Kids" section of our November issue! Deadline to enter is November 15.